Want to read a good book about Amsterdam? A novel about Amsterdam or maybe a tourist guide to Amsterdam? 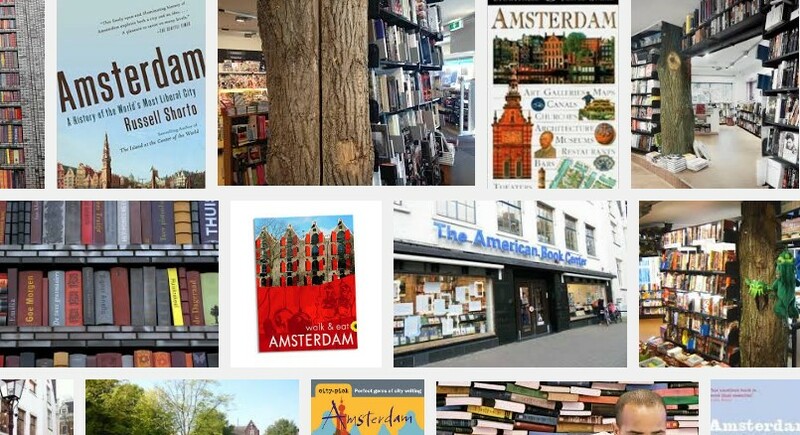 Here are recommendations for all sorts of Amsterdam books! Amsterdam is a beautiful city, and a great way to prepare yourself for a trip to Amsterdam is by reading a book or two about the city before arrival. One of the traditional travel guides about the city can always be useful when you want to know more about the attractions, activities, hotels and restaurants of the city, but you will also find quite a lot of information about exactly those things in our Amsterdam Guide. But it sometimes feels very good to have a little book in your bag or in your pocket with useful information (and maybe a little map), so when you are walking around in Amsterdam and wonder where you are, or what you are staring at, then such a travel book might be useful. Amsterdam is also a city which serves as the main arena for some great thriller and action books, and just as much for some great novels. We will describe some of those books as well in this article, so if you are looking for some more entertaining book, these will probably be for you. If you are a historical freak who want to know more about the history of Amsterdam, the history of the Netherlands, and maybe even the history of Europe, then there are some very good books for you as well, so keep on reading! We add links to sites where you can buy the different books online, so if any or more of these books sound interesting, just click the links, order them, and then they will come home to you with post in some days (hopefully! If you want a book that is simple to understand, contains some information and lots of lists and pictures, then this is it. The book is easy to bring, does not occupy large space and the different top 10 lists will help you see what is important and spend your days well in Amsterdam. A quite nice book, and we often recommend the Top 10 series to those who do not want to information, only the most important! Geert Mak is a person with great knowledge, not only on the history of Amsterdam and the Netherlands, but all of Europe. This is a book ideal for those who want to get a thorough knowledge of the history of Amsterdam, and it is written in a form making it feel almost like a novel, and not a dry history book. If you have been to Amsterdam many times and think you know everything you need to get hold of this book. It will lead you to special attractions, gardens, places and sights that have inspired painters such as Rembrandt and which tell a story you will not hear about on guided tours. If you learn some of the facts from this book you will soon find yourself knowing more about lots of things than the locals of the city do! For fans of Rembrandt this book will lead you into the world of the painter and you will get to know the places where he painted, lived and see what influenced his life and works. In this book you will get the big picture of Rembrandt’s life, and if you combine reading this book with a visit to the Rembrandt Museum in Amsterdam, you will for sure feel as if you know Rembrandt a lot better afterwards. In this Rough Guide to Amsterdam you will find information about popular walks in Amsterdam during which you will get to see the most important museums, activities and sights of the town. You will also find information about the night life in Amsterdam for people with lots of money, and for those on budget. If you are ready for an excursion there are information about day trips and day trip opportunities from Amsterdam, and all information is spiced up with pictures and maps in this book consisting of almost 300 pages. This is a novel with the main parts of its story taking place in Amsterdam. Some people totally love this book, while others say its boring and not at all interesting. It is written by Ian McEwan, and deals with two friends who make an euthanasia pact, saying that if one of them get very sick, the other person will end that persons life. But, who will need to end the life of the other one. This is only one of the subjects in the book.